We've all grown up with scary ghost tales being told and passed down for each generation. Every generation passes them down to the next and they keep living on through many generations. 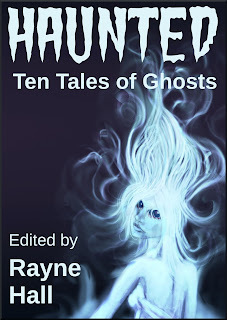 "Haunted: Ten Tales of Ghosts" is a really wonderful book for mature audiences. One woman lost one husband while he was out at sea, remarried and lost him. She was visited by her first husband and wasn't willing to deal with losing him again. An adult education teacher decided to give a girl a lift. The girl was putting off some foul odor, not sure why so she decided to let it go. The girl then asked for her to take her to a graveyard. Weird as it might seem, she wanted the teacher to bury her there. Read the tale to find out why? 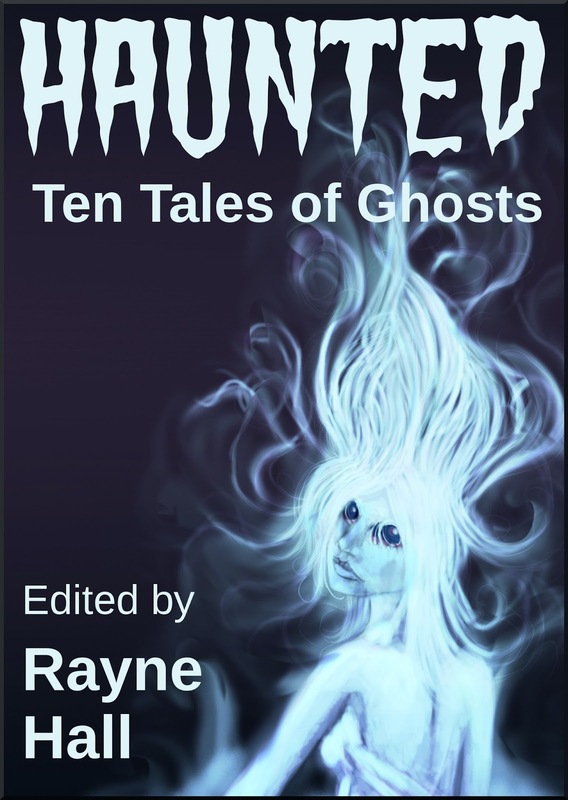 What better time of the year to read ghost stories? Halloween is just around a month away. This is one of my families favorite times of the year. They get to dress up and the candy... my husband with his fake dummy... don't ask. He's a really huge goof for Halloween and the things that man does, lets just say, "He's warped". There is no fixing him. Just enjoy the ghost stories and I promise to put him on a leash in the basement for Hallows Eve!